This fixes several problems found on the first package and adds a few more features. 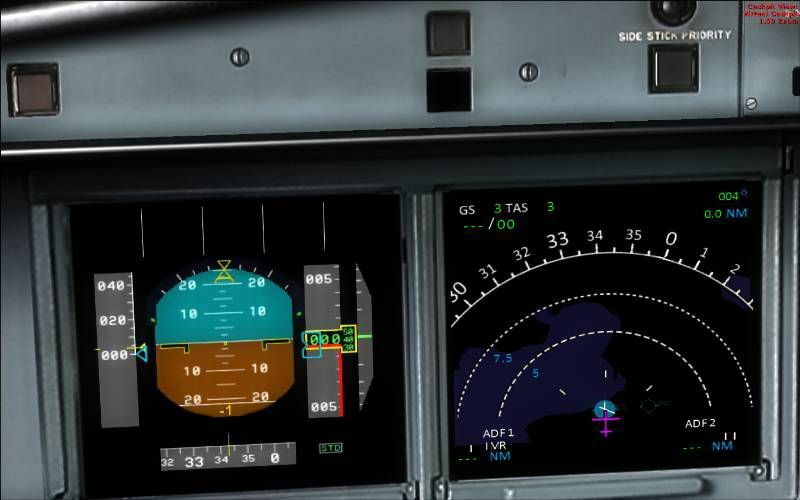 New features include terrain on ND function, ILS CAT II and CAT III autoland, new style square monitor 2d panels. By Dimitrios Moschos. (See also SMS_A330_A340_GAUGE_UPGRADE_V2_FIX.ZIP and OVERLAND_SMS_GAUGES_A340_FIX2.ZIP). 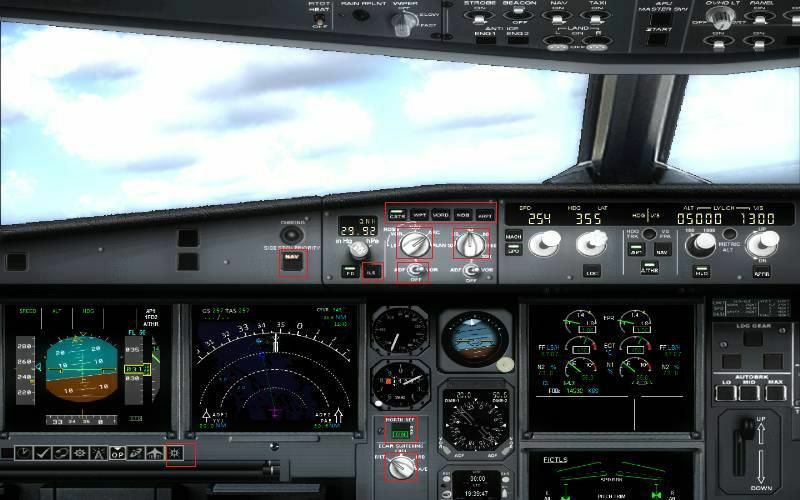 Screenshot of SMS Overland Airbus A330/A340 cockpit panel. It adds TERRAIN ON ND function, i.e. you can see the map at the ND (see screenshots). It is not very realistic, compared to the real thing, however it does add more realism and eliminates the use of the GPS for ground reference. It has a non realistic feature i.e. you can have TERRAIN ON ND at all modes, including that of "PLAN", although in real life this is not true. I kept it because it looks really nice. 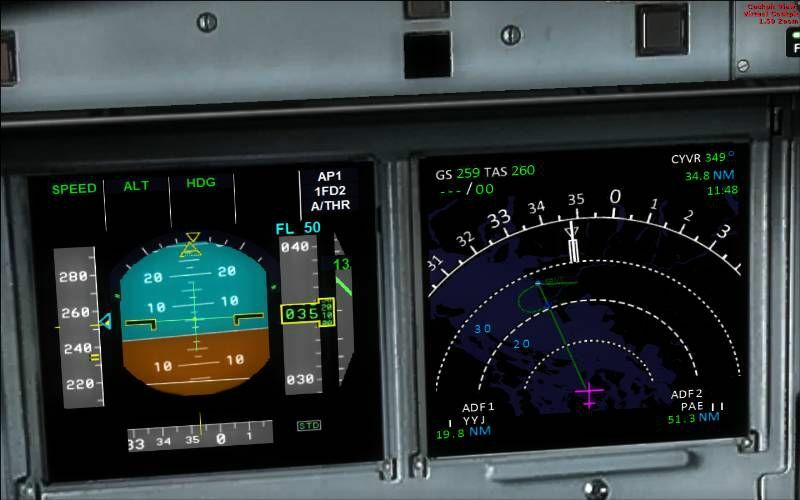 It adds a complete ILS CAT II & III autoland function to the aircraft. The original file belongs to Stefan Liebe, being modified by Francois Dore, and finally being fine tuned for use with SMS A330 and A340 by me. It has been tested many times and this is the closest it can get to the real thing. 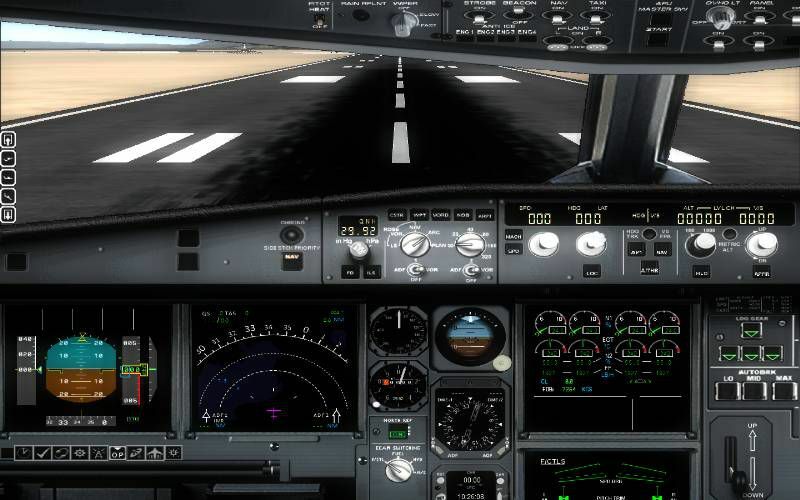 Now you can have a completely zero visibility landing performed automatically. It provides new style square monitor 2d panels. The archive sms_a330_a340_gauge_upgrade_v2.zip has 601 files and directories contained within it.